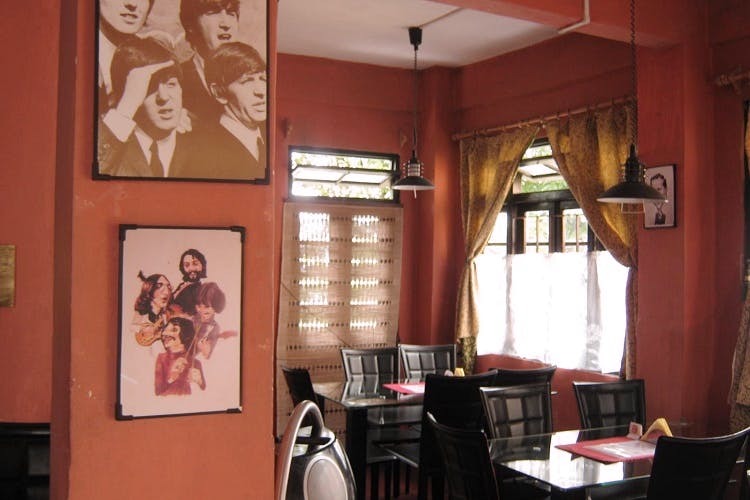 Next time you are in Darjeeling, stay at this seriously hip place named after the well-known Beatles song. You will love the Fab Four-themed posters, books, and other memorabilia strewn around the place. Well for starters, you get to stay in rooms named after John, Paul, George and Ringo. And wake up and look up at a young John Lennon smiling down at you from a poster! What more could a Beatles fan want? The quaint hotel has five rooms in all - named after the Moptops, and their manager Brian Epstein. If you want privacy, you can book Paul, George or Brian. For a view, book John – you can see the amazing Kanchenjunga peaks from the bed. Ringo is a smaller room but with a double bed. The hotel is also full of Beatles memorabilia – the owners are great fans of music (and the Fab Four, of course). Check out the caricature-ish painting of the band that graces one wall. Pick up one of the Beatles mugs, or a coaster. And enjoy the fun atmosphere and the food – the restaurant serves delicious coffee, and authentic Naga cuisine. For breakfast you can order cereals, or pancakes with honey, sandwiches, or toast and butter/jam, eggs made to order (with a serving of Darjeeling's famed bacon, sausages, baked beans, and mashed potatoes on the side!). We loved the cosy lounge sitting area downstairs, especially the stash of Tintin comics. There's an authentic Washburn acoustic guitar which you can try your hand at, and a TV on the wall with a collection of DVDs that include live concerts by music legends. If you are into gaming, be prepared to play on the Sony Playstation-3 - they have a Beatles Rock Band game. They don’t do lunch. But then, you may be out roaming the hills of Darjeeling. There are many options for lunch around the hotel, any way. If you want dinner, tell them in advance. Do try their signature dish Naga dishes – pork with bamboo shoot, and smoked pork with fermented soya beans. And the Naga thali. Ask the very interesting owners Vikash and Asenla for advice on non-touristy stuff you can do in Darjeeling.